New York City Mayor Michael Bloomberg made his city the world leader in the fight to defend against climate change and reduce carbon emissions. This book, just released, tells the story. It is being published as a multi-media e-book on ICN Books brand new app, and serialized in installments starting today oninsideclimatenews.org. Experts say New York’s accomplishments rank among the most comprehensive of any of the world’s leading cities, despite rarely capturing the attention of the public during the mayor’s tenure or earning mention in media assessments as the mayor prepares to leave office. Bloomberg’s PlaNYC has decades of implementation ahead – if it continues – but already it has reduced energy use in large buildings and improved air quality, re-imagined and reconstituted the urban landscape, and set the city on a trajectory to reduce its greenhouse gas emissions 30% by 2030 below 2005 levels. The 10-chapter multimedia ebook, released via a new multi-media ICN Books app, is based on extensive interviews with the mayor and key players on his team. InsideClimate News is a Pulitzer Prize-winning, non-profit, non-partisan news organization that covers clean energy, carbon energy, nuclear energy and environmental science — and the territory in between where law, policy and public opinion are shaped. Its mission is to produce clear, objective stories that gives the public and decision-makers the information they need to navigate the heat and emotion of climate and energy debates shaping our world for generations to come. Michael Bloomberg’s record as one of New York City’s longest serving mayors has been analyzed to the point of exhaustion. His ban of oversized soft drinks, his calorie counts on restaurant menus, his police department’s stop-and-frisk policy, his obsession with data, even his penchant for loafers—it has all been dissected and then dissected again. Rarely mentioned, however, is Bloomberg’s dogged effort to reduce New York’s greenhouse gas emissions and to protect the city and its 8.4 million residents from the perils of climate change. Climate experts around the world say the plans created under his leadership are a model for other cities. But most Americans, including New Yorkers, know little or nothing about his record in this area. An undertaking as complex as preparing a city for the challenges of climate change is much harder to grasp than, say, building a park or a bridge or banning giant cups of cola. It means laying plans for projects that are invisible to the naked eye, like reducing air pollution, and may not be completed for years or even decades. Their effort is important for two reasons. First, it gives New Yorkers a clear picture of the groundwork that has been laid to ensure their city’s future, so they can demand that successive mayors continue or improve on Bloomberg’s work. Second, it offers politicians in other cities a roadmap for creating their own sustainability and climate change plans. Other U.S. cities have begun grappling with the prospect of climate change, but New York is certainly the biggest and most rambunctious to have done so on such an ambitious scale. Andy Darrell, an Environmental Defense Fund leader who sat on an advisory committee that was key to the process, still marvels at how so many disparate groups came together to work on the plans. 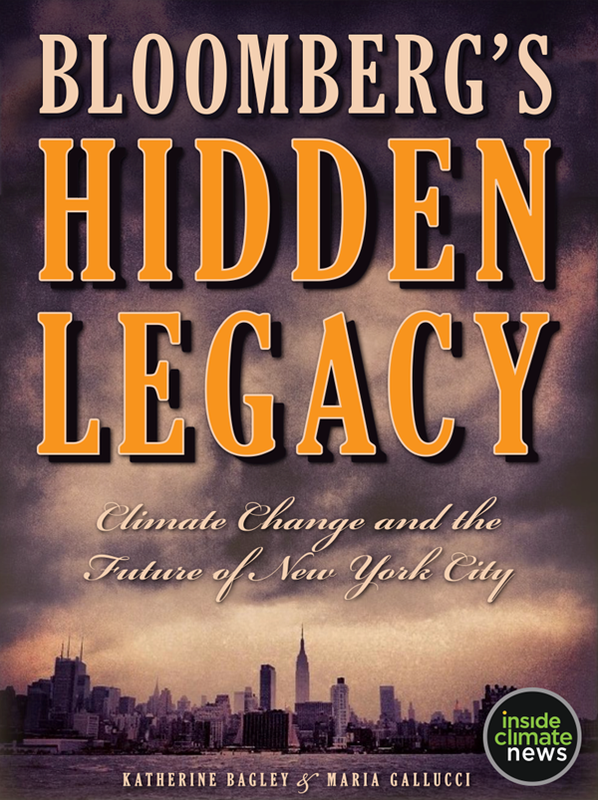 In an interview for this book, Bloomberg downplayed his achievements. He pointed out that his wasn’t the first New York administration to take on environmental issues and that it was his staff that did the real work. And he is right. Bloomberg didn’t come up with the specific ideas or do the mathematical equations or hammer out the fine details. What he did do, however, was make clear to his staff, to city officials and to the private sector that this was going to happen—that New York was going to have a clear and unified vision for dealing with climate change. This is Bloomberg’s hidden legacy—a legacy that may be fully appreciated only by generations yet to be born.